A few days ago I typed out a verse of Scripture about giving thanks. Upon proofreading my work, I noticed that I had typed the word “thank” instead of “thanks”. The thought occurred to me that perhaps we don’t give thanks as much as we should. There are times when one “thank” seems to suffice when in reality many “thanks” are appropriate! When I was growing up, we used to sing a hymn in church called “Count Your Blessings”. One line says, “Count your blessings, name them one by one”. Perhaps that would be a fitting exercise as we give thanks this holiday season. 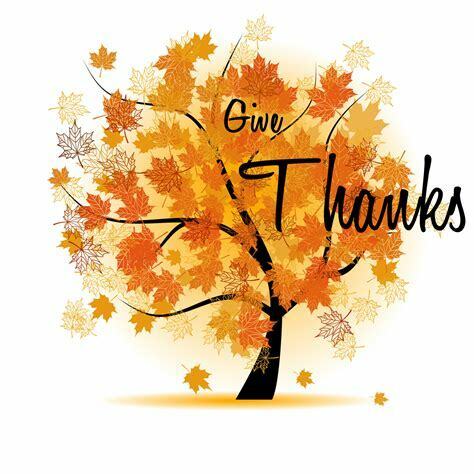 This entry was posted in Christian Living, Communion Meditations, Prayer and tagged Count Your Blessings, give thanks to the Lord, gratitude, illustration, Psalm 118:1, thanksgiving. Bookmark the permalink.